Ciao Andiamo organized an unforgettable 13-day trip for us to Italy, with private transport and skip-the-line private guided tours. To start, planning the trip was so easy. We worked with Cecile and she answered all of our questions promptly and thoughtfully, and helped ensure that our trip would be exactly what we dreamed it would. We started with one of the trips from their honeymoon collection, adding on extra days and a number of add-on options (which we were so pleased we did). A couple of weeks before the trip, we received our Ciao Passport in the mail, with our complete itinerary, driver and guide info, ideas for things to do in each city on free days, and an awesome list of recommended restaurants. We were put in touch with two contacts from their team in Italy whom we could call anytime. One of them actually called us on our arrival day to let us know she was available via text or phone for anything we might need during our travels. However, the trip was planned out so well we didn’t need to call or contact anyone – not even once. The tour guides and drivers are great! So friendly, brilliant, personable, and after just 10 minutes you feel like you’ve known them for years. We were so happy when we had a few of our tour guides/drivers more than once in each city! In Rome, you must do the Vatican City add-on. 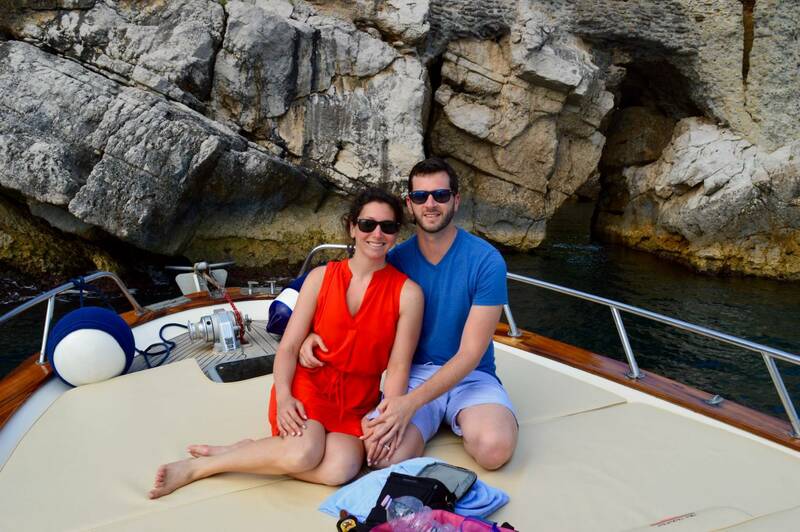 In Amalfi, we added on the private boat tour around Capri (it’s so worth it, especially if you have Luigi as your captain!). Such a relaxing day visiting all the grottos of Capri and swimming in the water. 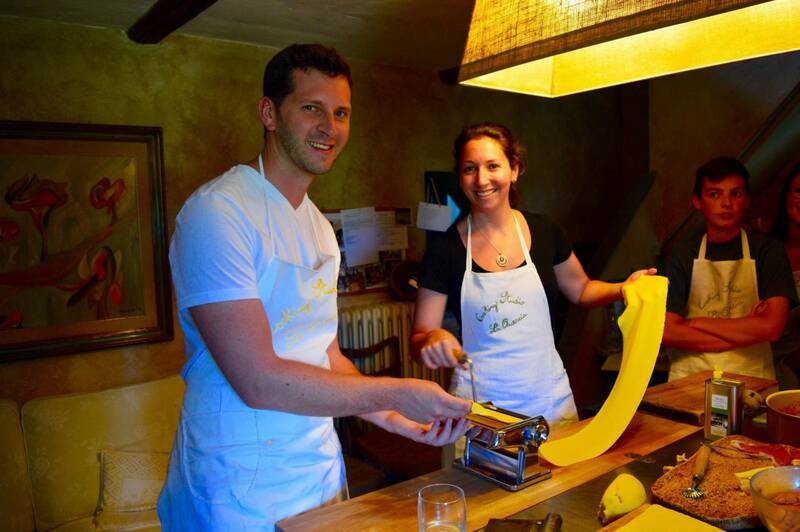 On one of our days based in Florence, we went into Chianti for a hands-on cooking class. We were paired with a family and it was so much fun, and so delicious. Veronica our chef was great and we learned so much from her. I can only hope that I can perfect her sauce, focaccia bread and chocolate cake with raspberry sauce! I truly hope that reading our story will inspire you to plan your honeymoon or next special trip to Italy with Ciao Andiamo!